​In his rookie campaign, Josh Hart thrived off the bench for the Lakers, averaging 7.9 points and 4.2 rebounds per game. While most players in his shoes would have foregone the NBA Summer League, ​Hart saw it as a chance to further his craft and gain experience. Based off his play in Las Vegas this month, it appears as if he has all the skills he needs to excel in the association. 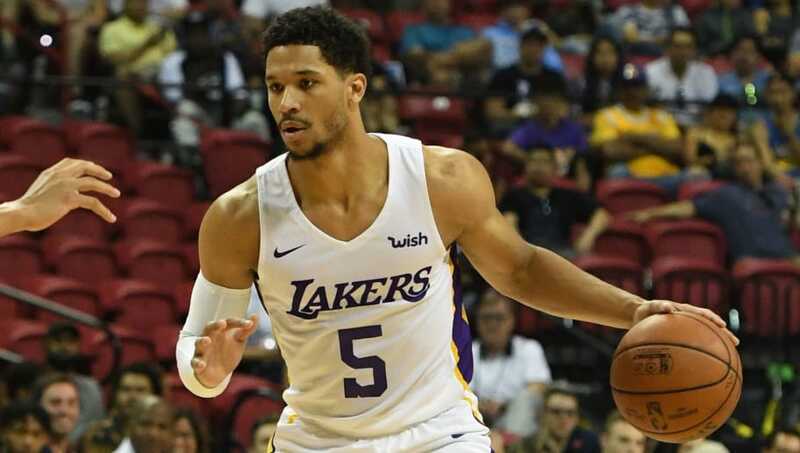 2018 NBA Summer League MVP in Las Vegas: Los Angeles Lakers‘ Josh Hart. Last season, Lakers’ Lonzo Ball was awarded MVP in Las Vegas. ​​Through six games, Hart has averaged a tournament-high 24.2 points per game to go along with a respectable 5.2 rebounds, 2.3 assists, and 1.5 steals. Hart succeeds fellow Lakers teammate Lonzo Ball as Las Vegas Summer League MVP, giving the Lakers the last two winners and hope for a sustainable future well past LeBron James' four-year contract. The Villanova product also showed Los Angeles just how clutch a player he can be, almost single-handedly ​carrying the Lakers past the Cavaliers in the tournament semi-finals. 37 in a double-OT thriller. The real test for Hart will come in October, when he begins his second NBA regular season. But if he can keep playing like he did this past summer league, all should work out for Hart and the Lakers.